What is Tron and Tronix TRX? Tron, often written as TRON, is a decentralized platform designed to streamline the distribution of multimedia content and apps between creators and consumers. Like Ethereum and Dragoncoin, Tron is powered by blockchain technology and supports both smart contracts and decentralized applications (DApps). Tron's native cryptocurrency, Tronix, is designed to be used for making transactions on the blockchain but it can also be used elsewhere much like Bitcoin. The organization behind Tron is called the Tron Foundation. The Tron Foundation was officially established in Singapore in mid-2017. The company's founder and CEO is Justin Sun, a Chinese entrepreneur who is also the founder, chairman, and CEO of PEIWO, a popular Chinese livestreaming smartphone app. Until early-2016, Sun had previously worked as the chief representative and advisor at Ripple Labs, the company behind the Ripple blockchain and cryptocurrency. The Tron Foundation has head offices in Beijing and San Francisco and also employs team members based in Seoul and Tokyo. How Is The Tron Blockchain Different? While a lot of blockchain projects focus on cryptocurrency transactions, Tron, in addition to powering its own Tronix cryptocurrency, is also designed to host media content, distribute said media to consumers, and run DApps. Tron is a rather ambitious blockchain project that's officially aiming to be a decentralized internet, an app store, a digital content store, and a cryptocurrency. As of early-2019 though, most of the proposed functionality is still in the early testing phase with the exception of the Tronix cryptocurrency and a small, but growing, number of DApps. Tronix is the native cryptocurrency for the Tron blockchain. Its official code used on trading platforms is TRX and it is occasionally referred to as Tron Coin, or simply, Tron. If someone is talking about having some Tron in a software or hardware wallet, they're likely referring to the Tronix cryptocurrency and not the Tron blockchain. If someone is discussing building an app on Tron, then they'd be talking about the actual Tron blockchain. Is Tronix a Type of Bitcoin? Tronix is not a type of Bitcoin. Bitcoin is one specific type of cryptocurrency, or cryptocoin, and Tronix is another. This distinction is important as it's impossible to send one type of cryptocurrency to a wallet address that belongs to another. Only send Tron cryptocoins to a Tron wallet address. If you send Tron coins to a Bitcoin or other type of wallet, you will lose your funds. There's no way to reverse a faulty cryptocurrency transaction. Tronix is often referred to as Tron in conversations about cryptocurrency and trading. Many websites, trading platforms, and apps will also use the Tron brand instead of Tronix usually because of the Tron brand is more recognized among crypto enthusiasts. How Can I Store Tron? Tron, like all cryptocurrencies, must be stored on a software or hardware wallet that's compatible with its specific blockchain. A software wallet is a basic app that grants access to funds on a blockchain. A hardware wallet also uses an app but requires a physical object to confirm transactions. The official Tron website has a large list of officially approved wallets for users to download. Hardware wallets are recommended for storing large sums of cryptocurrency due to their added security. Software wallets, such as smartphone wallet apps, are useful for making quick purchases online and in stores. There has been no official statement regarding the meaning behind the Tron Foundation's name. The word tron does literally mean a marketplace scale or weighing machine and this suits the Tron blockchain rather well given its ambitions of becoming a decentralized media marketplace where value can be weighed and traded. The name could also be inspired by Disney's Tron movie franchise which features a digital world created within the internet. 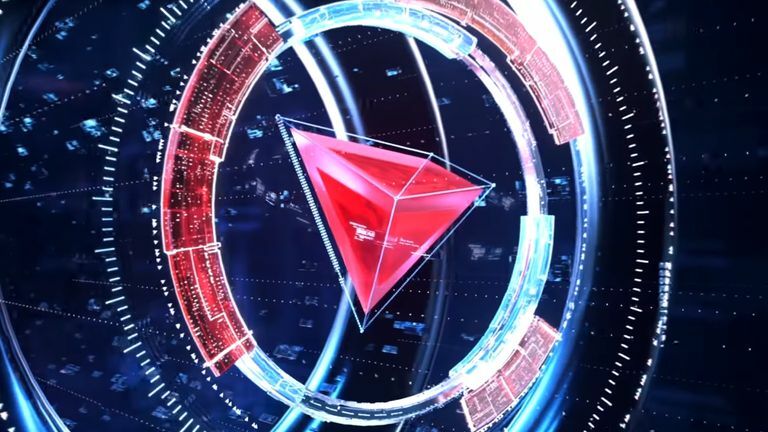 A lot of The Tron Foundation's branding materials, such as the official promotional video, bare remarkable similarities to the visuals seen in the Tron movies, especially those in the second film, Tron Legacy. Where Can I Buy Tron Crypto Coins? You cannot purchase Tron's cryptocurrency, Tronix, with traditional money but it can be obtained by trading other crypto for it on a number of exchanges. Once you obtain crypto in a trade on an exchange, you should immediately send it to a software or hardware wallet that you control. Exchanges can be hacked and should not be used for storing any cryptocurrency for a prolonged period of time. Some cryptocurrency exchanges that support Tronix are Binance, Bittrex, Bitfinex, and Huobi Pro. Where Can I Use Tron Crypto Coins? Tron's cryptocurrency, Tronix, can be used to buy services and products on online stores that support Tronix payments. Tronix isn't accepted in as many online shops as Bitcoin but there is a growing number of smaller retailers that accept the cryptocoin. While Bitcoin acceptance in real-world, brick-and-mortar stores is growing, Tron is very much a niche cryptocurrency in this field. One way to spend Tronix is to use it to add funds to the Spend Visa Card. This pre-paid card can be loaded up with a variety of cryptocurrencies that can then be used to make payments in any online and offline stores that accept Visa credit cards. The third option for using Tronix is with a Troncard. Troncard is an official first-party payment card created by the Tron Foundation with the aim of making cryptocurrency payments in the real-world as easy as using a credit card. Unlike the Spend Visa Card, Troncard doesn't use any existing credit card network and relies on native Tronix payments via Poppy, a Tron blockchain payment processor. Payments with the Troncard can be made in very much the same way as one would use an IC card-enabled credit card, by tapping the card on a payment terminal. The Troncard payment option was launched in private beta in early-2019. How is Tron Connected to BitTorrent? BitTorrent is the company behind the popular BitTorrent programs and apps which have been used for downloading and distributing media since the early-2000s. On average, more than 100 million people worldwide use BitTorrent to download or upload files. Tron aquired the BitTorrent company and its technologies in 2018 and, throughout the first two months of 2019, merged the Tron and BitTorrent technologies to implement BitTorrent downloads via the Tron blockchain. The BitTorrent Token (BTT) was created at the same time as this merging. The BitTorrent Token is a TRC-10 utility token built on top of the Tron blockchain in much the same way that numerous cryptocurrencies or tokens are built on top of Ethereum. This new cryptocurrency is intended to be used by those downloading via BitTorrent to pay for faster download times and to reward those who upload files to the network. This phase of the BitTorrent/Tron evolution is being officially referred to as Project Atlas. It will first be introduced via the µTorrent Classic BitTorrent app for Windows computers.